Today, automotive luxury brand Genesis introduced the 2019 G70 sedan, the third model in a growing lineup, at a ceremony held in The Museum of Moscow. Over 500 guests and influencers joined Genesis for a music festival as part of the Russian market launch of G70. G70 is the brand?s opening entry in the highly competitive entry-level luxury segment, designed and engineered to offer driver-focused performance, refined luxury, advanced technology, and a world-class ownership experience. 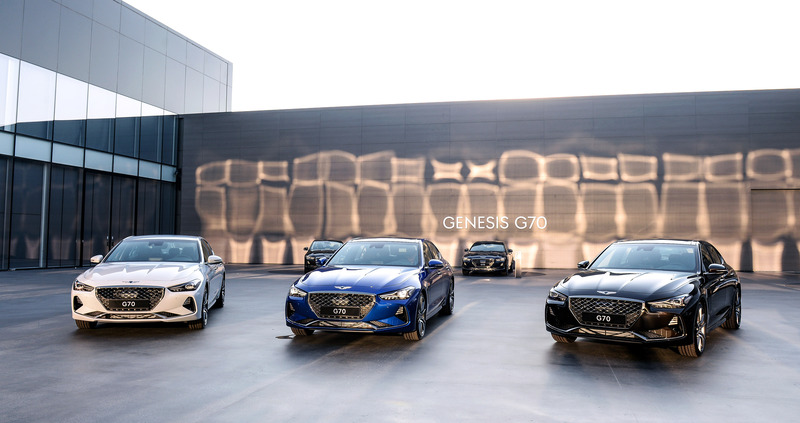 G70 rounds out the Genesis brand?s sedan lineup, joining the G80, G80 Sport, and flagship G90, and the brand will continue to expand its product portfolio to all areas of the luxury auto market. ?The launch of G70 in the Russian market confirms our strong commitment to deliver customer-oriented models that combine innovative technology, superior design, and the latest engineering advancements,? said Alexey Kalitsev, Managing Director of Genesis Brand in CIS. G70 represents the future direction of the Genesis brand?s ?Athletic Elegance? design signature. Its long hood and short overhangs, dynamic roofline, and high beltline characterize a sleek profile. In the side view, the parabolic character line displays kinetic form language with voluptuous curves and smooth surfaces. Like its sedan stablemates, the G70 features the Genesis Crest Grille with distinctive LED daytime-running lights. In the basic version, the price of G70 is 1,949,000 &#8381;. The price of G70 in Elegance starts from 1,999,000 &#8381;, Advance (197 hp) - from 2,249,000 &#8381;, Supreme - from 2,709,000&#8381;. The price of G70 in Sport version is 2,899,000 &#8381;.